Today was an interesting day. 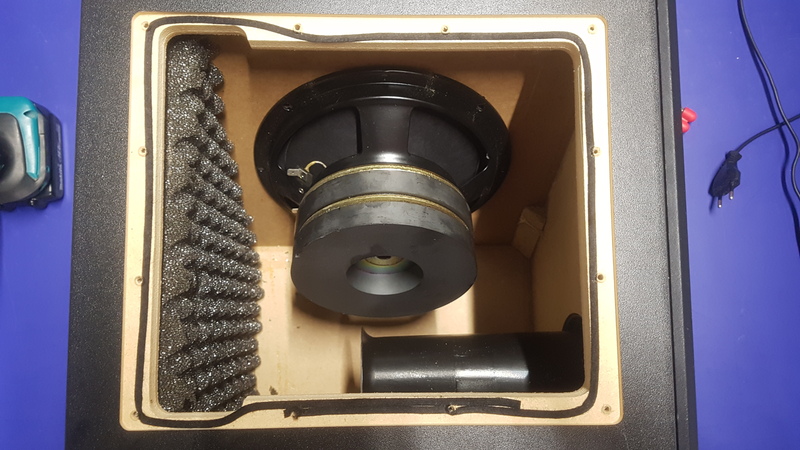 A colleague came in with his Syrincs 2.1 speaker system saying his subwoofer was making weird noises. It was our job to find out what was wrong with it and how to fix it. The system was a Syrincs M3-220 DT near-field active monitor set. It’s a nice system. I like it particularly because of the claimed flat frequency response and the active filtering possibilities like a delay switch to fix phase issues with the subwoofer if necessary and an equalizer switch made to optimize the sound when the speakers are placed on a desk. These features are simple enough so that anyone could use them. They do make a difference however, if you really want reference performance. The included -3db expected frequency response is a nice addition and surprisingly accurate after modelling the woofers response. After the first test run it was clear that the original woofer was blown. But unfortunately, there were other noises not related to the woofer. 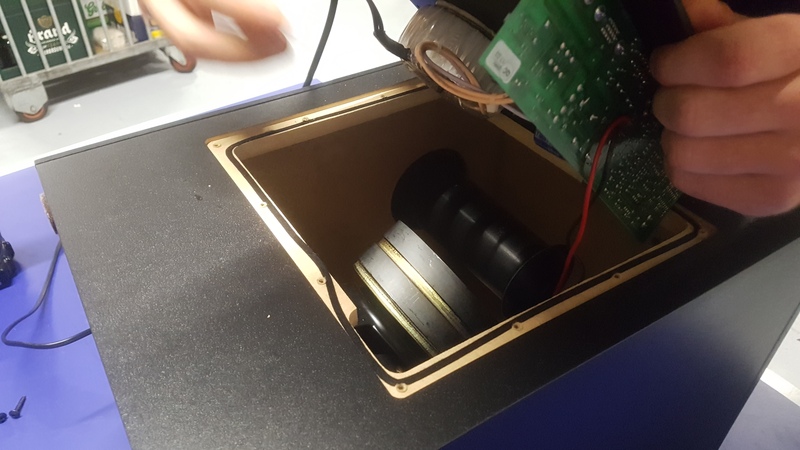 In order to be able to find the other problems, we decided to replace the woofer first. 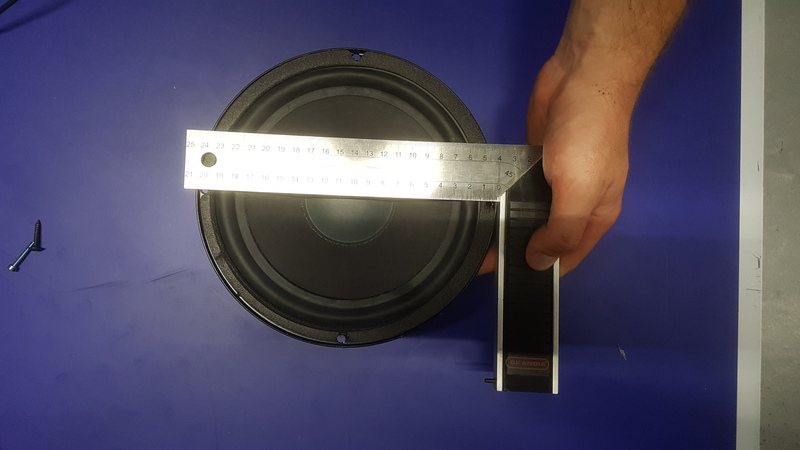 To find the right replacement woofer, we measured the dimensions of the woofer and both chambers within the enclose, determined the internal volume of the chambers and measured the length of each port. The enclosure turned out to be tuned to 53Hz and 135Hz respectively. Which is odd because it gives you a huge boost outside the intended range of a subwoofer. But I assume that this was taken into consideration when designing the amplifier for this subwoofer. We were now able to model some different woofers using WinISD, a speaker modelling software. 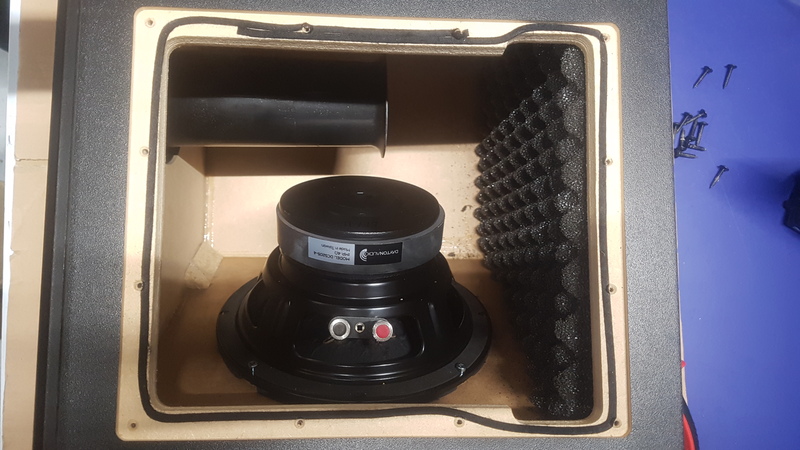 The subwoofers we considered using were the Tang Band W8-740P, the Dayton Audio DCS205-4 and both versions of the Dayton Audio Reference series 8’’ subwoofers. All of which we expected to perform well in a relatively small enclosure like this one. 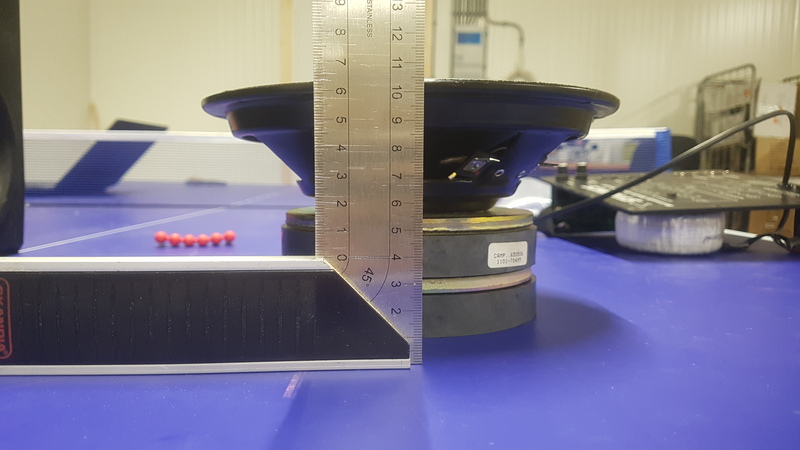 The f3 turned out to be 45Hz, as advertised, but due to the huge peak in the mid-bass, the effective f3 will be around 50Hz. 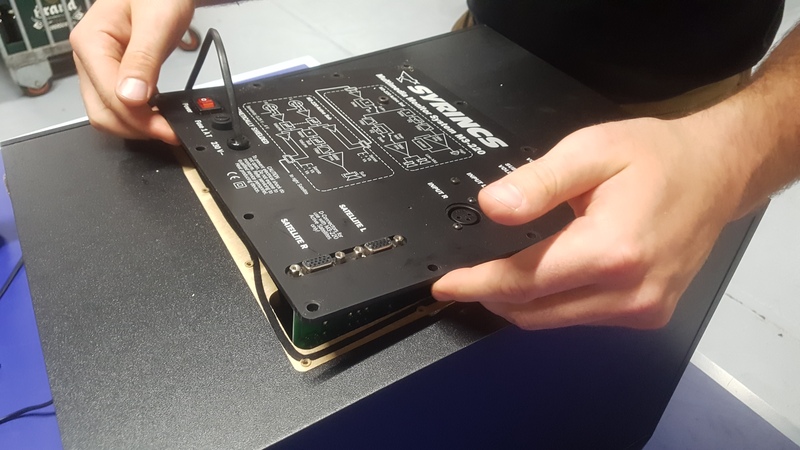 We did end up using the Dayton Audio DCS205-4 as it provides a marginally higher output, has sufficient Xmax and would be a cost efficient replacement for the original woofer. With the woofer mounted, the other noise was very noticeable. After some more testing it turned out to be a loose port. A bit of glue and pressure made sure that the port was back in its place and sealed airtight this time. A final test round gave us what we were looking for: Deep bass, without any rattling, chuffing or scratching noises! The system sounds better than ever with the new woofer and hopefully, it’s going to last for a while.